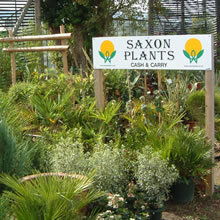 Saxon Plants is the Trade centre of the Stone Cross Nurseries Group originally established in 1956.Growing up around its own Garden Centre. 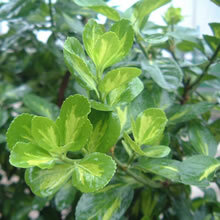 Our aim is to provide customers with high quality, competitively priced plants and deliveries to suit. The wholesale Nurseries Peelings and Saxons grow a wide range of plant material aimed for the South East of England and coastal areas. With many forms of dispatch Saxon Plants provides one stop shopping for Nurseries, Garden Centre’s, Landscape Contractors, Garden Designers, Local Authorities, Golf Courses and other tradesmen. Apply for your trade card today. Plant and Product lists can now be easily accessed on our new Order Form page. So you can place orders on line, we will be updating this page regularly with new and exciting plants and associated products including a larger range of specimen display plants and an internet range for mail order or direct sales to the home. New plant ranges have been introduced and a expanded Cash & Carry unit will provide a more complete supply of plant material for all. 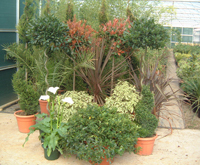 We have the widest range of quality plants in the south east available to the Trade including large specimen plants, shrubs, climbers, conifers, trees of all sizes, roses, azaleas and rhododendrons, alpines, herbaceous perennials bedding, fruit trees, ferns, grasses, bamboos, hedging plants, bedding, herbs and pot plants. You can stock your Garden Centre or Planting Project from our Cash and Carry sales area or create your own planting plan in our plant planning studio. Why not try our Plant Hire for those special occasions or corporate events, these and other new facilities keep us growing in as many ways as possible and will help you provide the best service to your customers. Quality Control: Plants are graded at all stages of production and sales. Visit our brand new gardening online website at Nature's Plants.